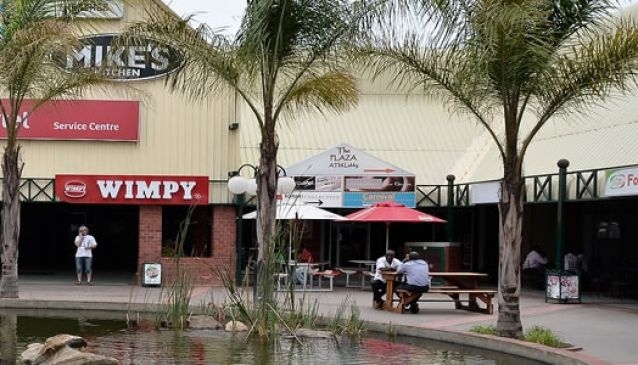 Arcades Shopping Centre is one of Lusaka's many shopping centres offering a wide variety of clothing stores, jewellery stores, eateries and entertainment for the whole family. Arcades wide selection of eateries range from fast food chains to sit down restaurants including, among others, South African Chains, Mike's Kitchen, Ocean Basket and Rhapsody's. There is a night club, Room 101, and the Lusaka Royal Casino as well as a Ster Kinekor Cinema complex with its five cinemas showing all the latest international release. Arcades offers multiple banking facilities and ATMs along with a Bureau de Change for foreign visitors. The centre includes a Spar supermarket, Mica Hardware, clothing stores, and shops selling the latest gadgets and household appliances. The Centre is also the site of the Pakati Market held every Sunday, the perfect place to pick up beautiful crafts and souvenirs. Be aware that some of the crafts and carvings come from the DRC, Kenya and Tanzania and are, therefore, not authentic Zambia crafts. Arcades is centrally located and is easy to reach with personal or public transport.